Salomon There are 3 products. 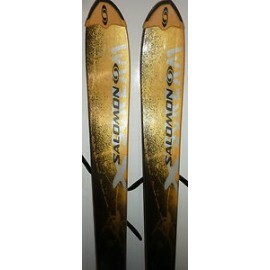 Woodcore/laminate construction with Ptex base and track bindings to adjust to any ski. 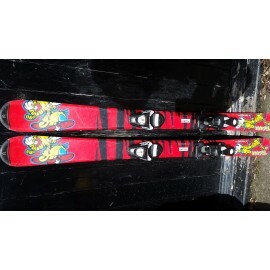 Rossignol Silver/Black bindings and raceplate adjustable to any boot sizes.